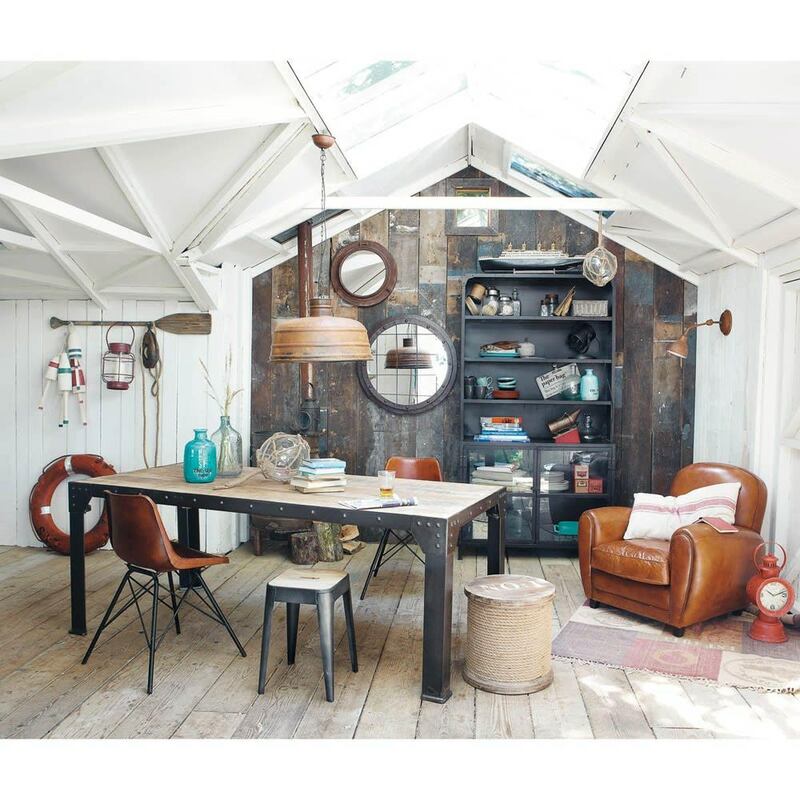 Industrial is the new black! 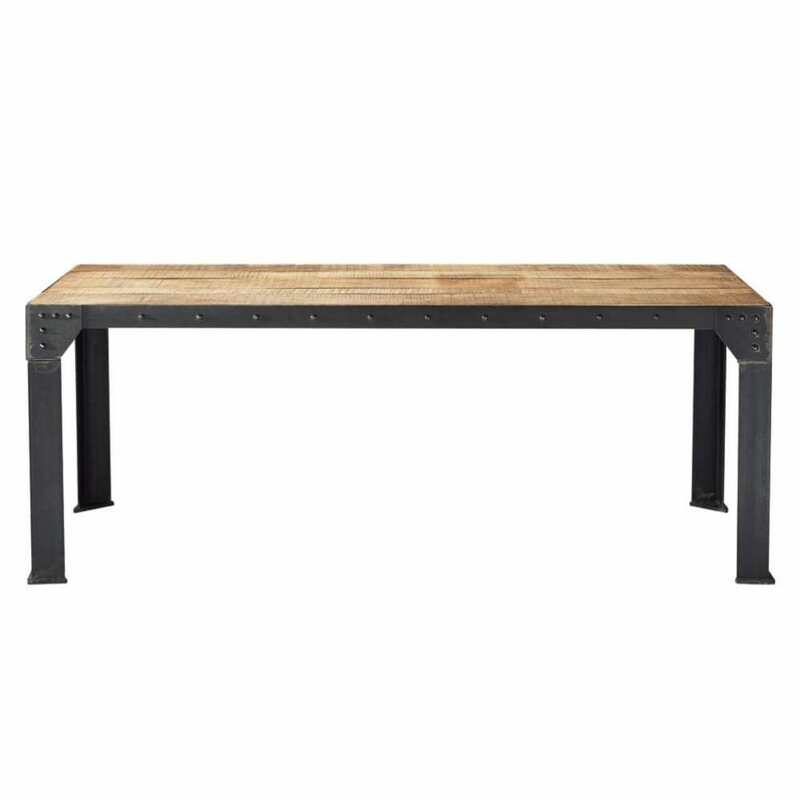 Just look at the resolutely modern loft vibe of the FACTORY Industrial Metal and Mango Wood Dining Table L200. An imposing base, visible rivets, untreated solid mango wood top... This 8/10-seater dining table will definitely attract attention with its authentic charm. Essential for fans of big dinner parties or for big families, it is the epitome of welcoming, convivial furniture par excellence. 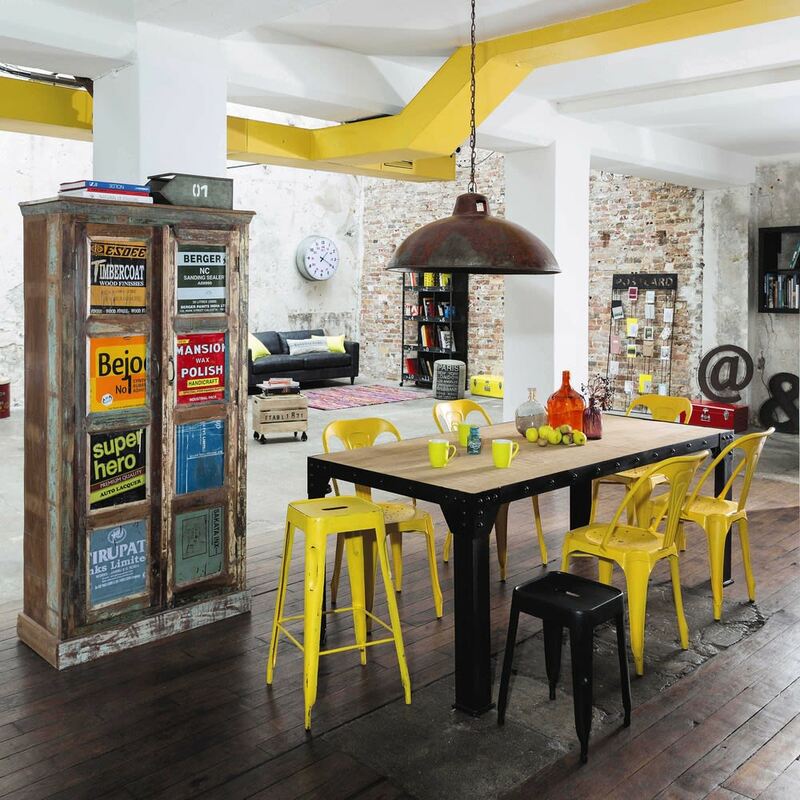 Team it with our must-have industrial chairs: the MULTIPL'S! Unfinished materials and a hard-line "industrial" style make for a truly urban look! 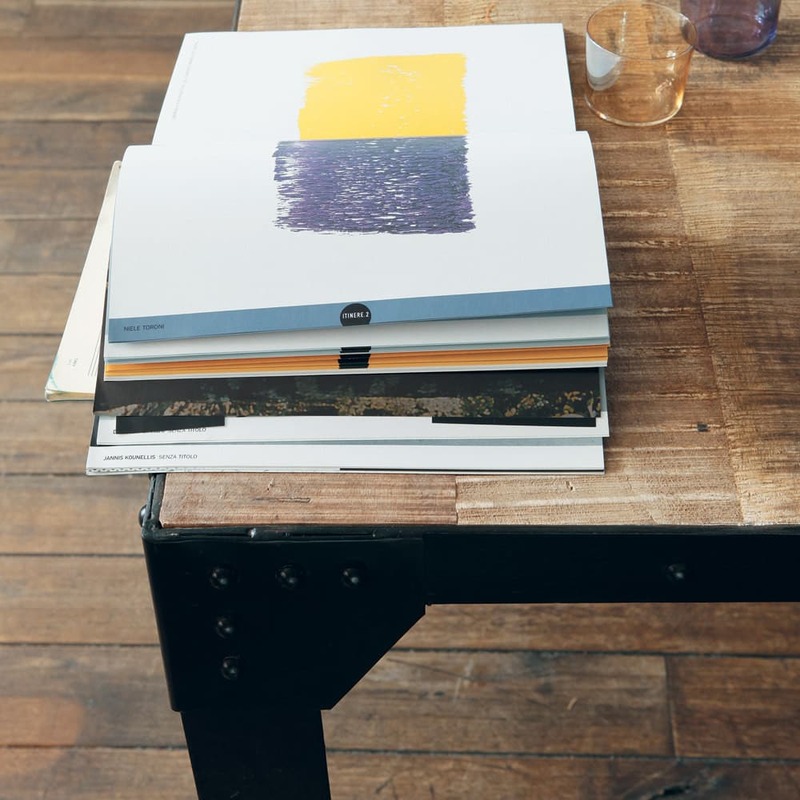 The tops assembled from unfinished, authentic wooden boards in solid mango wood bring a natural, rough finish. A light coat of stain has been applied to highlight the color shades and grain of the wood while maintaining the unfinished aspect of the material. The frame in riveted metal painted dark gray reveals a subtle copper-toned patina (dining table). 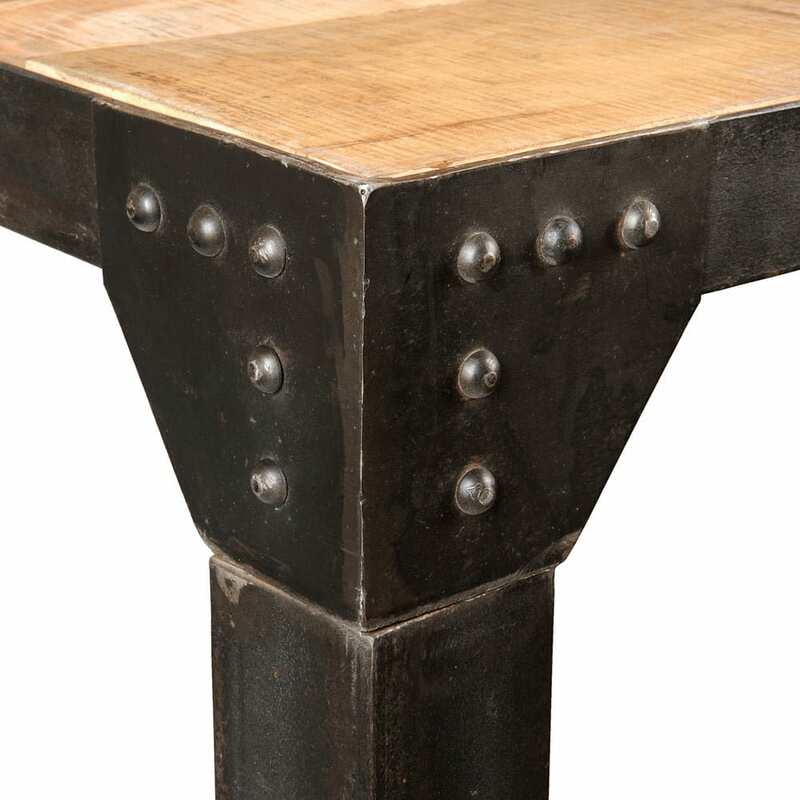 To reinforce the authentic side, patinated, aged studs are left apparent (buffet). The handles in patinated, aged black metal underscore the "factory" influence behind this collection (buffet). Tabletop thickness: +/- 6.5 cm. When you see this logo on our mango or sheesham wood furniture, it means each tree used in its construction is geolocated, allowing us to verify its origin and identify the plantation owners. The QR code on these products lets you find out all about them! For more information on our traceability programme, click HERE.